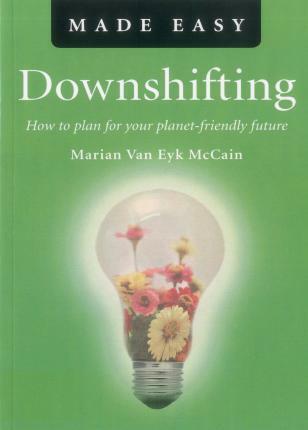 What does it mean to 'downshift'? Why is it now imperative that millions of people begin moving towards a simpler, more sustainable lifestyle ? If you, too, are to join this worldwide effort to create a different sort of world, when should you start? How should you set about it? Might you need to move house in order to live more sustainably, and if so, to where? And to whom can you turn for advice and guidance? This easy-to-read guidebook, by an author who undertook a similar journey, aims to answer all these questions and more. It will reassure you that while the downshifting process is not without its challenges, the rewards, in terms of life satisfaction, enjoyment and sense of fulfilment, can be huge. There are many books full of practical ideas for green living. But this one goes to the heart of the matter by looking at who you are, what your needs are and how to create your custom-made plan for a lifestyle perfectly adapted to the coming 'Age of Sustainability'.